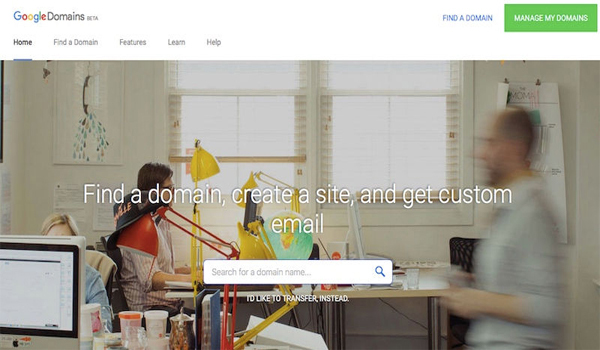 Google has quietly launched Google Domains, its Web domain registrar service, in India. The service is available in beta phase in the country, and the company is at present not offering any incentive or other deals to customers - as is popular among registrar services. Spotted first by Labnol, Google Domains competes with BigRock, GoDaddy, Hostgator, Bluehost, Namecheap and other registrar services. Google Domains is known for its simple user interface, perhaps the toughest thing a customer has to go through when setting up a domain. From purchasing the domain, to setting it up, Google Domains lists all the specifics in a user-friendly manner. For instance, at the time of registration itself, Google Domains asks if the customer would like to hide the details they are submitting to ICANN. Setting up the domain is easy too, with straightforward sections to configure the DNS and to make use of customised email addresses. One can purchase the customised email addresses from the dashboard itself, by signing up for GSuite, paid services from Google. Which brings us to the second aspect of Google Domains. If you have ever purchased a domain before from any popular registrar, you may have gotten accustomed to claiming a domain for under Rs. 500. (BigRock and GoDaddy often run campaigns to allow customers to buy a .com domain for as low as Rs. 99.) But Google is charging more than Rs. 800 for standard .com domains. Furthermore, registrars often throw in a bunch of custom email addresses customers can assign at no charge. Google Domains is not offering that goody either. It's possible that Google might have some launch offers - or offers in general - when it publicly announces the launch of Google Domains in India. Affordability aspect is usually one of the major factors that drive a customer to and away from a registrar service. To recall, Google announced free tools to allow small businesses in India setup websites at no charge, so it appears more likely than ever that affordability is something Google will be keen to offer. Gadgets 360 has reached out to Google for comment. We will update the post when we hear back from the company.